Non plastic glitter. Provide a decorative sparkle for event decoration, theatres, photo shoots and window dressing. 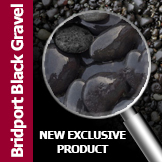 Also suitable for terrazzo and resin bound flooring, work-tops and wet pour applications. This mineral based glitter is neither combustible or explosive. Colour coated crystal glass, suitable for terrazzo and resin bound flooring, work-tops and wet pour applications. This glitter may also be used as a decorative sparkle finish for event decoration, theatres, photo shoots and window dressing. Top quality German glitter, often referred to as "diamond dust", from Sigmund Lindner the world's leading supplier of glitter and glass beads. The silver based colour coating and random shape provides for a high brilliance and a distinctive colour spectrum, setting itself aside from monochromatic plastic glitter. The colour coating which is typically less than 3 microns in thickness has been further "sealed" , making the glitter particles both waterproof and resistant to solvents. Unique among modern glitters, crystal glitter holds no electrostatic charge, hence as it doesn't "stick" to surfaces. A significant benefit for photographic assignments. This glitter has a density similar to that of "normal" aggregates. This makes it ideal for resin and concrete screeds as the particles are less likely to segregate when mixing. As the bulk density of glass glitter can be up to five times greater than polyester based glitter it is substantially easier to clear away when used for window and event displays. Crystal glitter is neither combustible or explosive. Availability: Product is generally held as a stock item for immediate dispatch. This glitter is a professional product, is not a toy and is not recommended for children of any age. Risk of minor cuts is possible, but generally protective gloves are not required when handling. 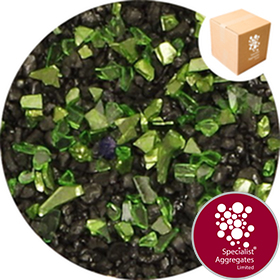 Design Specify: Crystal Glitter (Medium) Moss Green from Specialist Aggregates. 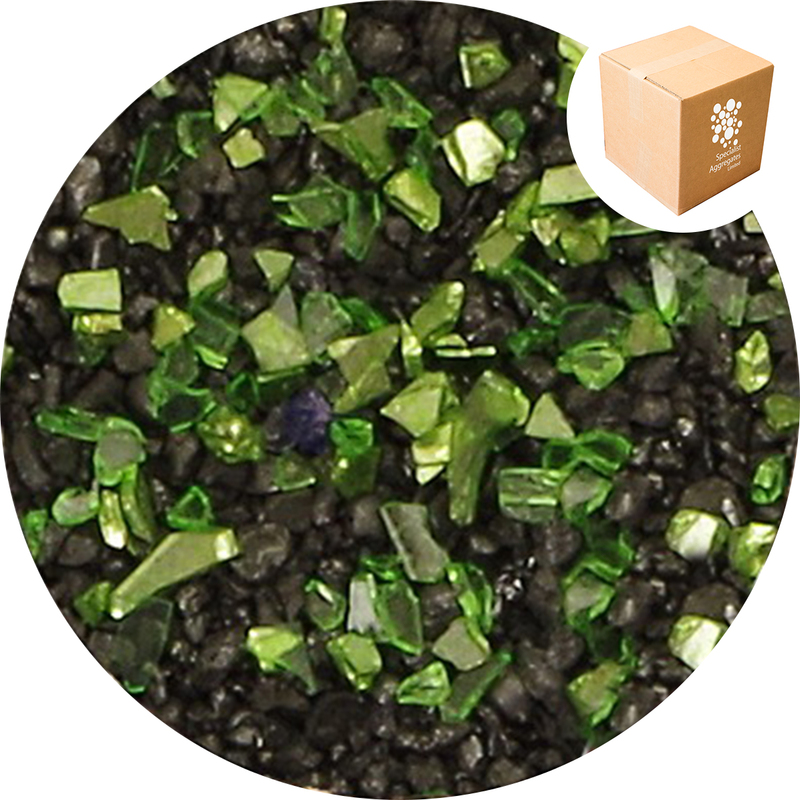 Moss Green crystal glitter is also available as a fine grade (Nominal particle size 200 micron, 0.2mm. Similar in size to table salt) and Coarse Grade (Nominal particle size 1.5mm. Similar in size to small rice). Please enquire for availability. It would appear that mankind has always been partial to a bit of "bling"! There is evidence that naturally occurring mica was used in prehistoric times to adorn cave paintings and decorate Mayan Temples, whilst other minerals including malachite (green copper based mineral) , galena (black lead based mineral) and haematite (iron oxide giving a dark red "streak") were used for decoration and personal adornment. Most modern glitters are manufactured from precision cut coloured plastic. However, for around 100 years prior to WW2 non plastic glitters widely referred to as diamante, and in particular products innovated and produced in Germany, provided Christmas sparkle and excitement to theatre and event decoration.